This tongue twister flavor will tie your taste buds in knots! The citrus taste is combined with a tart, fruity taste to give you an extreme flavor that will leave you tongue-tied. 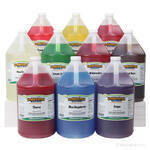 This sno cone syrup is an interesting blend of delicious fruity flavors that you wouldn�t expect! Kids love the slightly sour taste, especially because it is added to the already delicious citrus taste! This snow cone will literally have you at a loss for words. Impress your friends and your next party or gathering with this interesting blend of delicious juices. 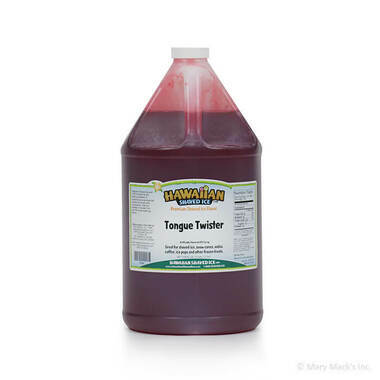 It�s okay if you�re speechless; it only takes one click to buy a gallon of tongue twister snow cone syrup flavoring! 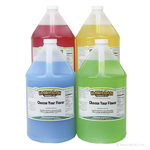 Hawaiian Shaved Ice�s tongue twister sno cone is a great purchase for your next birthday party or get-together with friends and family. 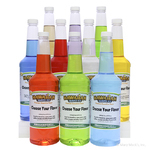 You can also grab it in a quart size, or combine it with other great flavors in an assorted package!